Winter can be a tough time for gardens. The freezing weather can provide harsh conditions for plant life, as well as making garden owners reluctant to leave their nice warm living room to do any outdoor work. Luckily, winter garden care doesn’t have to be a slog. With minimal fuss and effort you can make the most of the chilly months ahead, and enjoy your garden all year round. To get you started, we’ve pulled together some of our best winter garden advice. Composting is easy in the summer months, when high temperatures keep the decomposition at the heart of the pile ticking over nicely. 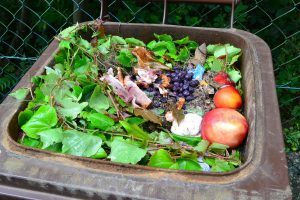 Winter composting can be achieved, however, by ditching the exposed pile, and making a ‘bin’ from wood, pallets, or stone blocks. Add an equal mix of greens (plant and food waste) and browns (woods, leaves and paper) to ensure a compost that stays warm and active, even on the chilliest days. Remember to turn it occasionally to oxygenate the reactions within, and you’ll have ready-made garden food at the time you need it most. Although much of your garden will naturally lose its colour and vitality during winter, there are other ways to make the most of the season. 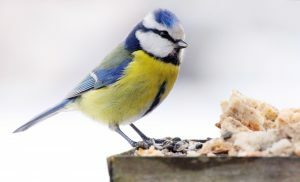 Your local wildlife will never be more grateful of food than in the harsh winter months, so installing seeds and nuts in a decorative feeder will really bring your garden to life. And as the Christmas season starts to approach, what better garden decoration could there be than the regular sight of red-breasted robins outside your window? Mowing the lawn during winter is a rare occurrence, which usually means that many people have a small jungle to tend with by the time spring rolls around. During winter, lawns can also become patchy and muddy as the weather takes its toll, which isn’t great news if you have pets coming in-and-out leaving dirty paw prints. One easy solution that’s becoming increasingly popular is artificial turf. Gone are the days of a jagged, plastic-looking product, as today’s quality materials mean that artificial turf booth looks and feels like the real thing. It’s clean, convenient, and needs very little maintenance. By cutting out lawnmowers and hosepipes, you’ll also save money in the long-run, as well as being able to enjoy a tidy lawn with zero effort, all year round. Read more – The benefits of installing artificial turf in your garden. For people who are all about the summer months, there’s no better time to start preparing your garden than during the winter down-time. If you have a new flower bed in mind, winter is a great time to kill off any weeds or unwanted vegetation with zero effort. Just pin some plastic sheeting over the desired area, and after a few months without air, light or moisture, the dead weeds will be all ready to rake up, and make way for new plants and flowers. Winter is also the perfect time to undertake any landscaping work you’d like finished before summer arrives. From rockeries to decking to water features, why not use the quiet of winter to lay the foundations of your garden plans, so that when the first rays of spring finally arrive, your beautiful garden is all ready to make the neighbours jealous. 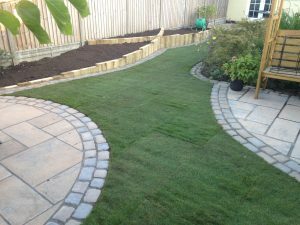 Here at Groby Landscapes, we’re experts when it comes to garden design and landscaping. 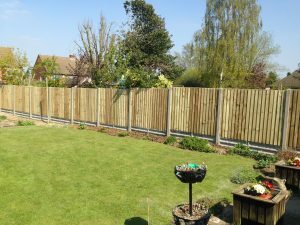 To discus our huge ranges of landscaping services, or to book in a free consultation, please contact us today.